Our terracotta wall pots are purpose-built containers ideal for growing plants on your garden walls. 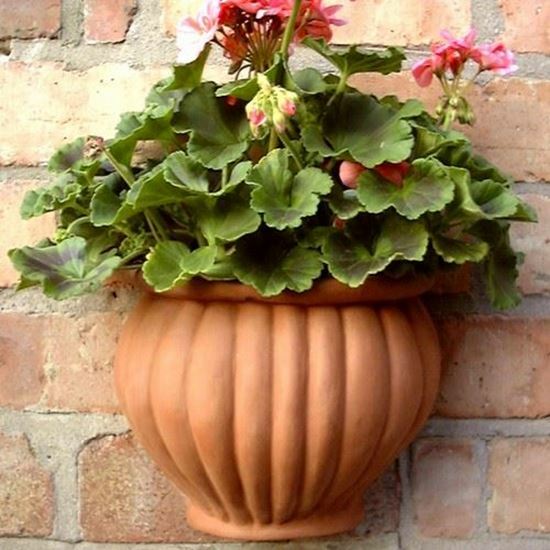 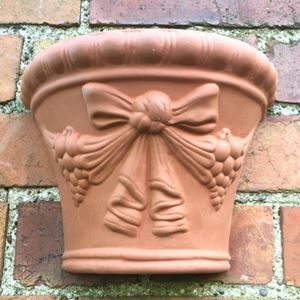 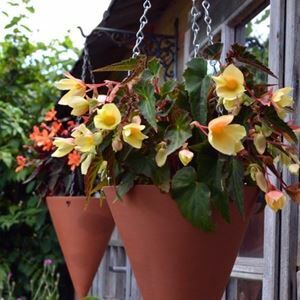 These terracotta wall pots are practical, decorative & when planted with your favourite flowering plants will provide a colourful display to enhance garden & patio areas. 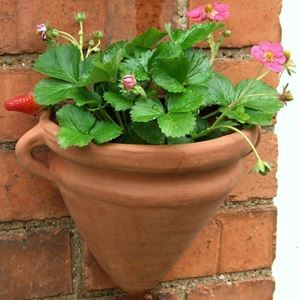 Each pot has a flat rear side with a hole for hanging on a screw or nail. 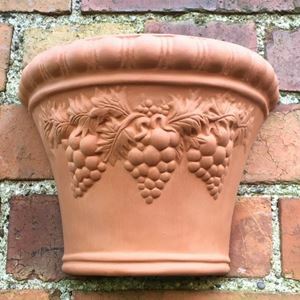 UK made in our Nottinghamshire pottery from the fine English terracotta clay.